Most of us wish we were somewhere else. I suppose I've met a few holy ones that were content with their current state of affairs but not too many. One individual was Brother Martin, a Missionary Servant Brother who lives at the Shrine of St. Joseph in Stirling, NJ. For a visit and more information, visit www.stshrine.org. I was walking along one of the sidewalks to the Shrine one Sunday and it began to rain. Making a face of displeasure I said to Brother, "Oh no, looks like rain!" He smiled his 90+ year old smile and said, "That's ok. So it's going to rain..." I was struck with his sheer acceptance of the weather. His acceptance changed how I look at rain, and just about everything else I guess. So it was going to rain. What's the big deal? 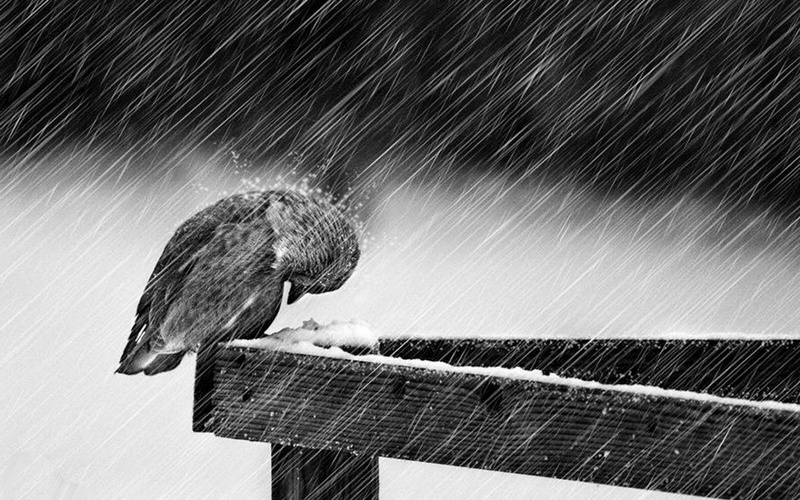 Brother Martin accepted a simple thing like rain as if it were sacramental. He didn't wish it were snowing or sunny. The rain was ok in that given moment. What's ok in your life right now? Is your job ok? How about your home? Your car? Your spouse and kids? Your income? If we're honest, many of us wish we were somewhere else. We long for jobs we don't yet have, for homes we can't afford, for vacations that have yet to come and on and on it goes. Here's the thing- if we believe that God has a) a plan and b) a presence in every moment of every day then this very moment matters. It matters a lot. I'm writing this blog post and fighting the urge to plan out the rest of my day. I'm fighting the urge to feel badly for having the day off (thank you Martin Luther King, JR!). I'm trying to avoid watching my neighbors head off to work as they drive by outside. Most of all, I'm trying to be fully here, in this moment so that I can learn from it and give my very best to my readers. If I can pull it off, that's quite a gift to pass along. If you're at a place in your life and wishing it were different, that's ok. It might be God whispering something into your heart, nudging you towards growth or change. Or, it might be an opportunity to slow down, look people in the eye and enjoy the place you are in.